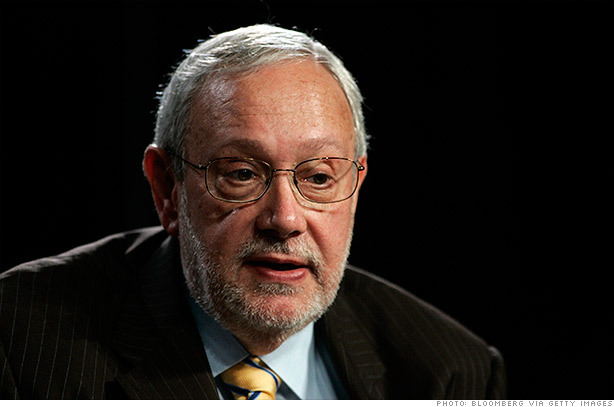 The private equity fund run by Lewis Ranieri, the "godfather of mortgage finance," agreed to pay $375,000 to settle SEC charges that it used an unregistered broker to raise more than $500 million. According to the SEC, Ranieri Partners raised that capital with the help of William M. Stephens, a former chief investment officer with public and private pension funds who had not been registered as a licensed broker since 2002. Stephens was paid $2.4 million in fees for helping land new investments over a three-year period. As part of the settlement, Stephens agreed to be barred from the securities industry for life. The SEC said it had first asked him to hand back the $2.4 million, but eventually waived that because of his inability to pay. Ranieri managing director Donald Phillips, who resigned from the PE fund in December, was also charged by the SEC for his role in recruiting Stephens and overseeing his work. Phillips agreed to pay $75,000. None of those charged admitted any wrongdoing, and Ranieri Partners declined to comment. If the Ranieri name rings a bell, you might recall Lewis Ranieri from Michael Lewis book, Liar's Poker. He headed up the mortgage trading desk at Salomon Brothers and helped create the bank's lucrative practice of securitizing mortgages by bundling those bonds to sell to investors. Ranieri earned a fortune and notoriety for his work. Time Magazine recently cited him as one of the "25 People to Blame for the Financial Crisis." Lewis Ranieri was not charged with any wrongdoing. Stephens joined forces with Ranieri Partners in 2008, six years after he was acquitted of attempting to steer union pension funds to organized crime families. At that time, the SEC forced Stephens to pay $25,000 and banned him from working as an investment adviser for two years. After that, he had the right to reapply to become a broker. Stephens never did reapply, according to the SEC. Yet, Ranieri Partners hired him to "find" new funds from his network of connections in the pensions and endowment world. With billions of dollars up for grabs and millions in fees, the SEC closely monitors how hedge funds and private equity funds find money to manage from public and private pensions and endowments. The SEC mandates that any outside adviser who gives specific financial information to possible investors must be registered as a broker-dealer.